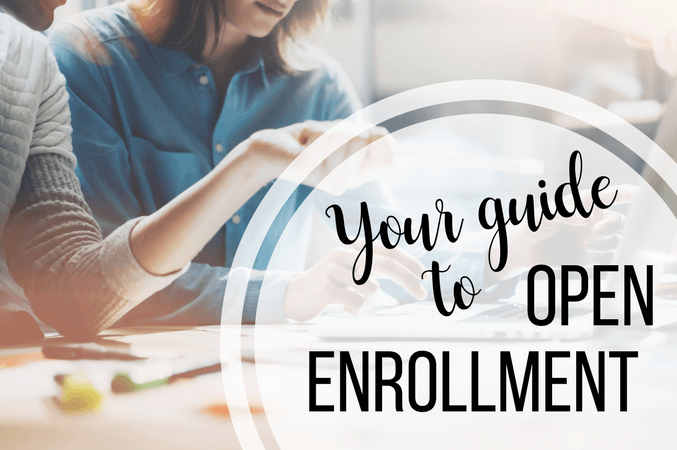 September is here, which means open enrollment season is here again. This is your chance to review your benefits, increase your coverage or cut back on areas that may not be serving you. If you’ve muddled through your benefits in the past, then this is a new opportunity to understand your benefits and customize them to your needs. If not much has changed over the past year, it might be fine to continue on with your current setup. But if you’ve had some big life shake-ups (like getting married or having a baby) then it’s especially critical that you update and review your benefits as needed. Long-term group disability insurance – Disability is critical if you or your family relies on an income. But your company’s disability coverage may not be enough for you, so it’s important you know how much you need. If they don’t cover enough, you may need supplemental insurance. Also be aware that sometimes the employer pays your premium. If you pay it instead, you can receive the benefit tax-free. Finally, don’t forget to know the waiting period associated with your policy. Although some people get short-term disability to fill that gap, you’d be better off saving up an emergency fund to fund that waiting period. Life insurance – Most life insurance policies through your employer are only going to cover 1-2 times of your salary. But you should really have at least 7 times your salary…and ten would be better. You can still go with your employer’s policy, but you should purchase more life insurance to supplement with. This is also a good idea if you plan to leave your job sometime soon since a policy outside of work will travel with you. If you’re weighing a term life insurance policy versus a permanent life insurance policy, term is usually the better choice. Permanent life insurance has a cash value and allows you to invest. But if you want to invest, there are better options out there to help your money grow. Your insurance needs can vary massively from one year to the next. Take advantage of open enrollment to make sure your benefits suit your lifestyle and family. Open enrollment is the perfect time to increase your retirement contributions, and also become more familiar with how much your employer is chipping in. Many companies offer to match your retirement savings at a certain rate. Make sure you’re taking advantage of that opportunity. You also might have different retirement savings options. Each carries its own features which include pre-tax contributions, Roth 401(k) or Roth 403(b) contributions. You may choose to put your money in both pre-tax and Roth contributions if you want the benefits of both. Health Savings Accounts (HSA) – A Health Savings Account allows you to save pre-tax money and withdraw it tax-free for your medical costs. Furthermore, any money left in that account at the end of the year will roll over to the next one. Flexible Spending Account (FSA) – Similar to the HSA, you can save your pre-tax dollars to cover your medical costs. The main difference is that the remaining money in this account doesn’t roll-over to the next year. Tuition Reimbursement – Have you thought about continuing your education? Check with your company because some provide an incentive by reimbursing education expenses. Make sure you’re clear on stipulations for that reimbursement. Your company could have grade requirements or specify how long you need to be with the company. Legal Services – Finally, your company might provide affordable legal services. You could use these to draft a will, a legal agreement, or help with other legal matters.